Browse our wide selection of Jeep Wrangler JK Switches and Panels to find the best prices for your Wrangler 2-Door or 4-Door. In this category you will find JK Wrangler Switch and Panel parts for the 2007, 2008, 2009, 2010, 2011, 2012, 2013, 2014, 2015, 2016, 2017 Jeep Wranglers. You can either select a product category or use our search box to find specific items in our store. Feel free to use our filtering options to sort by popularity, price or ratings within a category. 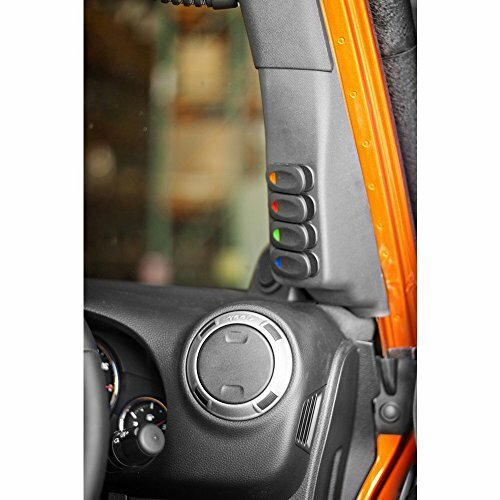 The JK Jeep Wrangler Switches and Panels we carry include switch panel pods, light switches, rocker switches, toggle switches, fuse panels, A-pillar switch pod, lower switch panel and more.